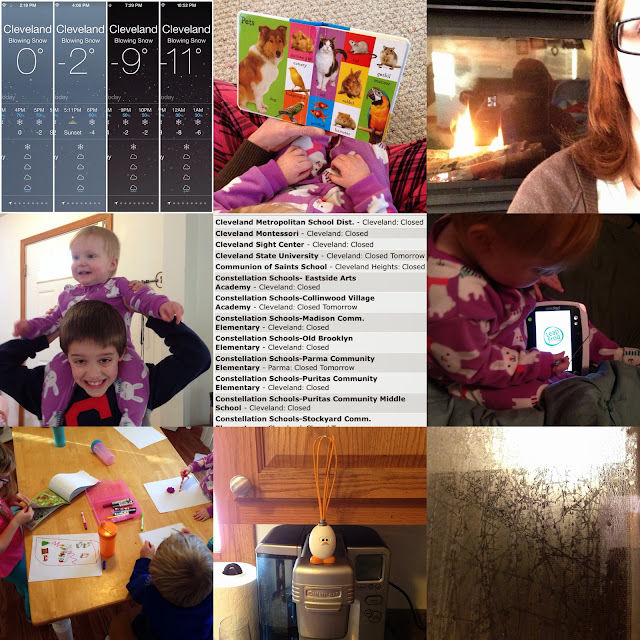 We achieved some record lows today in temperature, wind chill, parenting, sibling rivalry, productivity, and patience. We did not do well being cooped up... And I think we all caught a glimpse of the Abominable Snowmommy, a truly frightening sight. Yikes... Here's hoping for better weather, or at least better attitudes and choices, tomorrow!